A fashion gathering of rhinestones and colorful gemstone, by style with Geometric modeling Irregular square design with colorful stones, this sparkle retro bohemian style cotton rope costume deco necklace and earrings are perfect for stage and wedding party or holidays outfit. It design two colors red and multi-color, to give you more possiable to get the fashion style with your suit. 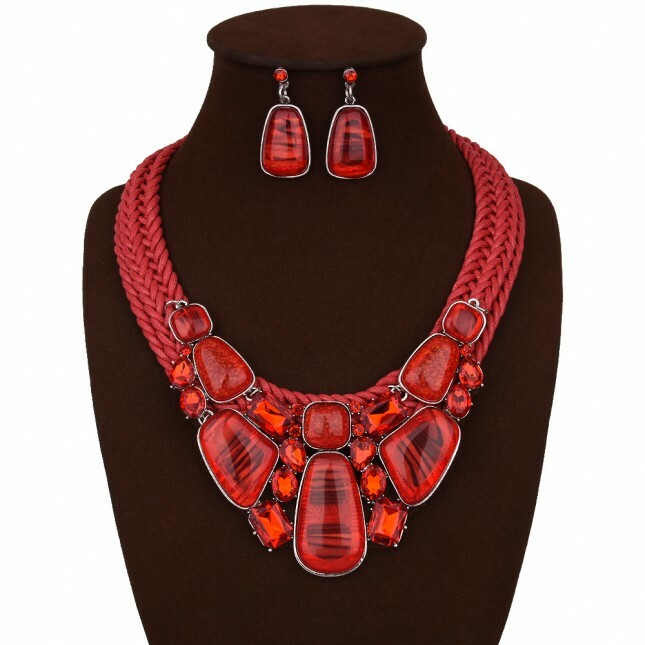 With yellow alloy extender chain and lobster buckle that you can find the fit length for your neck.